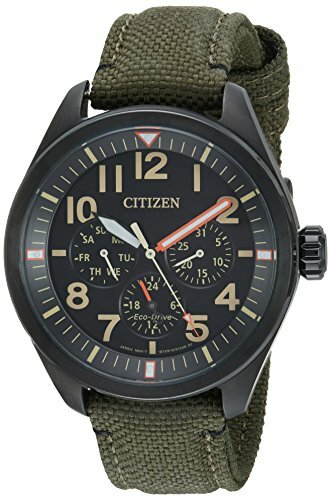 From the Citizen Eco-Drive Collection, this stylish watch sports a rugged look with miltiary inspired designs. A reliable Japanese quartz movement as well as day, date, and 12/24 hour subdials ensure that you never miss your important appointments. 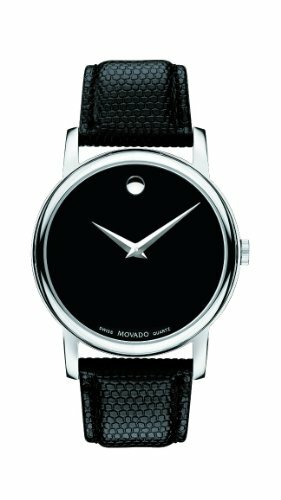 The watch boasts a dark green nylon strap with a black dial enclosed in a 42.6mm black ion-plated stainless steel case. 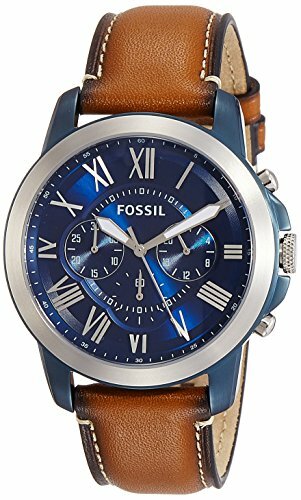 Marking the hours in easy to read fashion are bright Arabic numerals while orange accents add the pop of color that sets this watch a step above the rest! 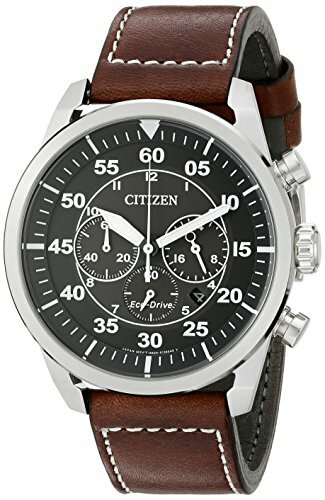 Citizen’s Avion is a vintage-inspired timepiece reminiscent of transatlantic flights from the 191950sDesign cues taken from the golden age of travel include the rich brown leather strap with contrast stitching, oversized luminous numbers and classic date function. Show your love for Mother Earth and high fashion with this unique and beautiful Zebrawood and Ebony Wooden Watch for Men by Treehut! The Treehut Men’s Zebrawood and Ebony Wooden Watch is crafted with whole wood bands and a high-quality stainless steel buckle to provide support and stability for a more durable structure. The bands can fit up to 8 ½” in wrist size and feature a round-shaped dial with the diameter of 1.7 inches. 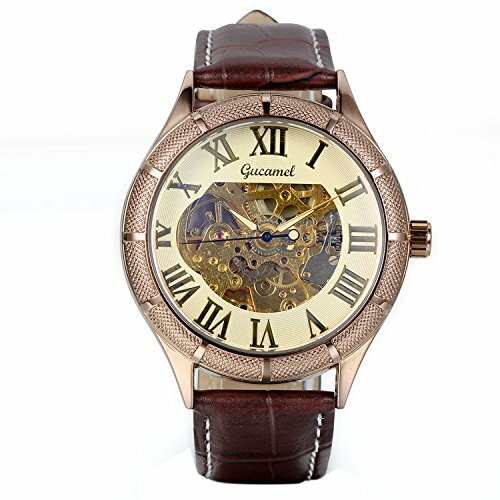 This elegant timepiece comes with wooden links with screwed pins that can be adjusted when taken to the jewelers or a watch repair ship for a custom-fit. This Treehut Men’s Watch is also equipped with precise Japanese Miyota quartz watch movement, which is classified as one of the world’s finest in terms of watch calibers. with up to 5 long years of battery life. With its un-painted, polished Zebrawood and Ebony wood grain finish, this watch is truly crafted with artistic standards. One will immediately notice the striking wooden patterns that give off a distinctly masculine and look. 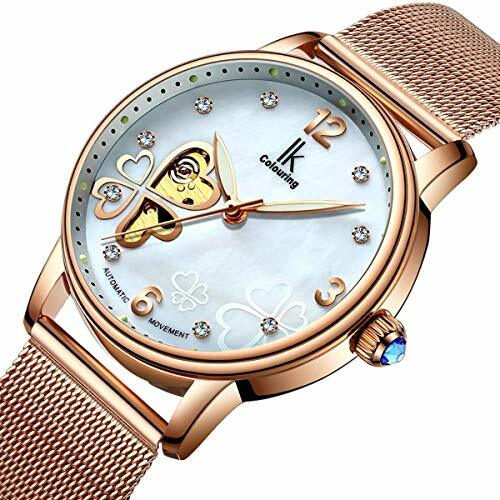 It is purely handmade with no paint and chemicals used, making it a perfect watch for those with delicate skin. This wrist watch is also water resistant up to 3mm. please note it cannot be submerged in water. Only splash proof. The Treehut Men’s Zebrawood and Ebony Wooden Watch also comes with a free gift box and a 2-year warranty. 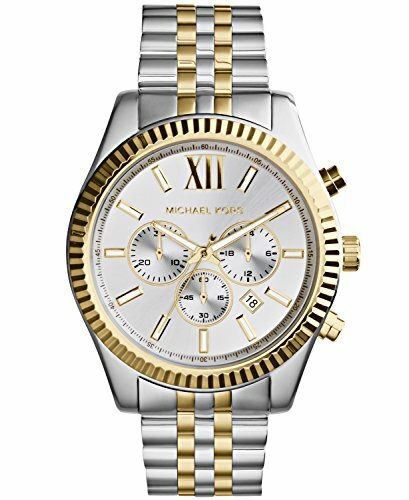 Equip your wrists with this trendy watch and change the way you look at your time. 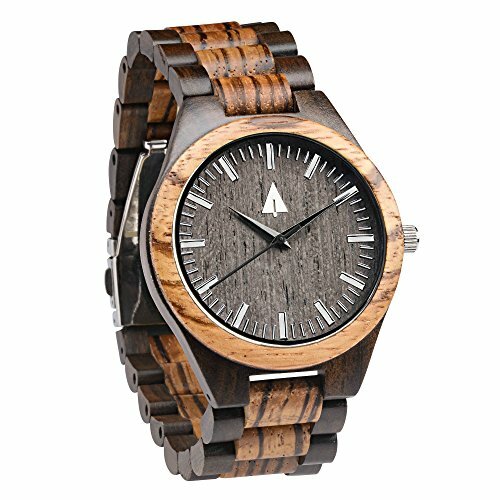 MADE FROM REAL WOOD: This men’s watch is made of 100% real Zebrawood and Ebony; with no chemicals or paints used. This combination gives off a contrasting color that gives off a rugged masculine look. It is safe on the skin and won’t cause any rashes or irritation. JAPANESE QUARTZ MOVEMENT: This wooden watch is equipped with a precise Miyota quartz watch movement, developed in Japan and considered to be one of the most reliable and versatile watch calibers in the industry. TIMELESS AND UNIQUE STYLE: Why settle for an ordinary look when you can have your own distinct style? Each Treehut Men’s Watch has real grains that will give you a refreshing look and an extraordinary vibe. DURABLE AND RESILIENT: This watch is composed of high-quality materials for long-lasting and all-weather durability. It is also made with stainless steel which resists rust and keeps water out. 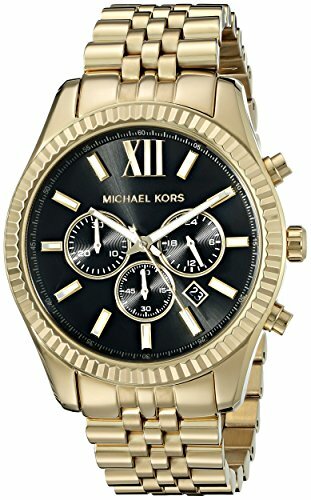 This timepiece is also water resistant for up to 3mm. It is not water resistant. I think it is good to be clearer here. ADJUSTABLE WOOD BAND: The Treehut Men’s Zebrawood and Ebony Wooden Watch has flexible wooden link bands that expand up to 8 ½ inches. A customized fit can be achieved when the screwed pins are adjusted by your jeweller or local watch repair shop.